Rancho Cordova, Calif. – The U.S. Conference of Mayors and VSP Global announced today that more than 6,000 adults and children across the country have received free eye care and eyewear if needed during the first half of their yearlong partnership to help people who need it most. The partnership between USCM and VSP Global includes mobile eye care clinics in ten cities across the country. For each event, VSP provides no-cost eye exams and glasses for qualifying adults and children in need. In the first six cities that hosted clinics through this partnership are Atlanta, Columbus, Denver, Indianapolis, Louisville and Phoenix. VSP and USCM are already on the ground or preparing to visit the remaining four cities: Portland, Baltimore, New Orleans and San Francisco. “We’re seeing firsthand the remarkable impact vision care has on everyday health. It is a critical part of a person’s health, but often unavailable to many of our most vulnerable communities,” said Tom Cochran, CEO and Executive Director, U. S. Conference of Mayors. “More than 1,300 people came out to the mobile clinic event for eye care. 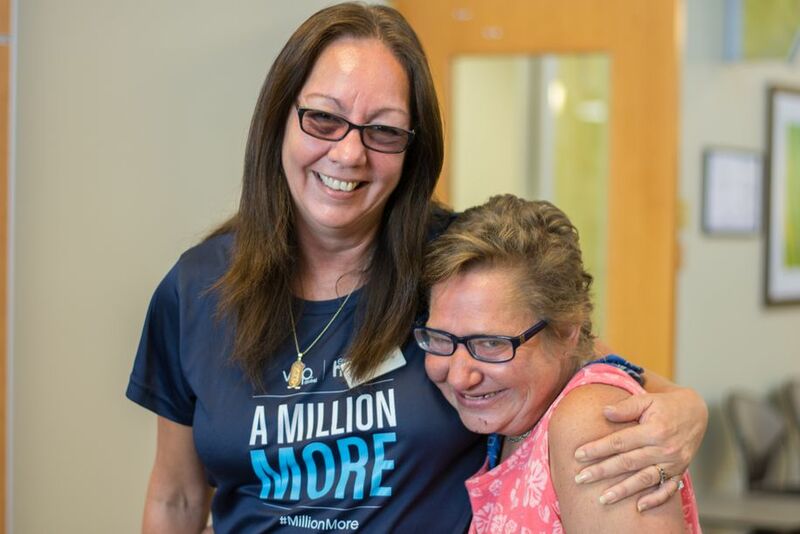 This really is a remarkable program that makes sure everyone who needs access is able to receive it,” said Greg Fischer, mayor of Louisville, Kentucky, who hosted the mobile clinic in June. For more information at about the partnership and the Eyes of Hope: a Million More initiative, visit www.vspglobal.com/millionmore. For photos to include in coverage, please use the credited images here.